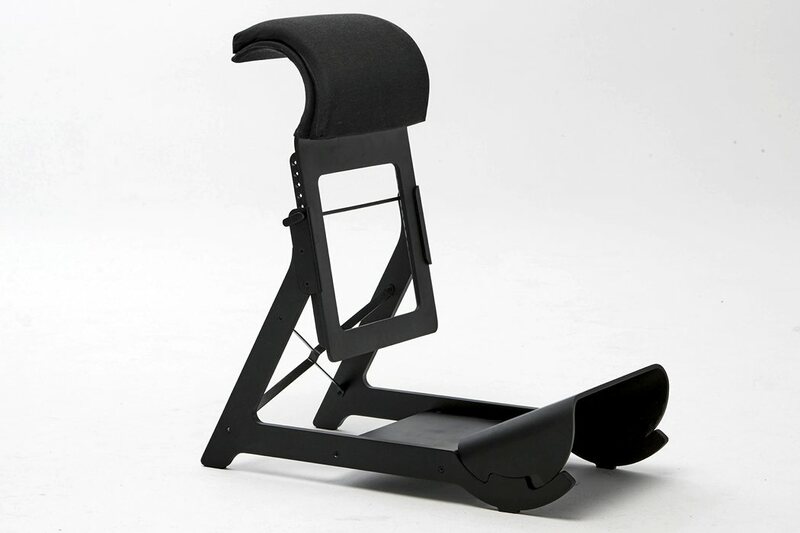 Experimental standing chair with the aim of avoid the harmful effects of the sedentary lifestyle. 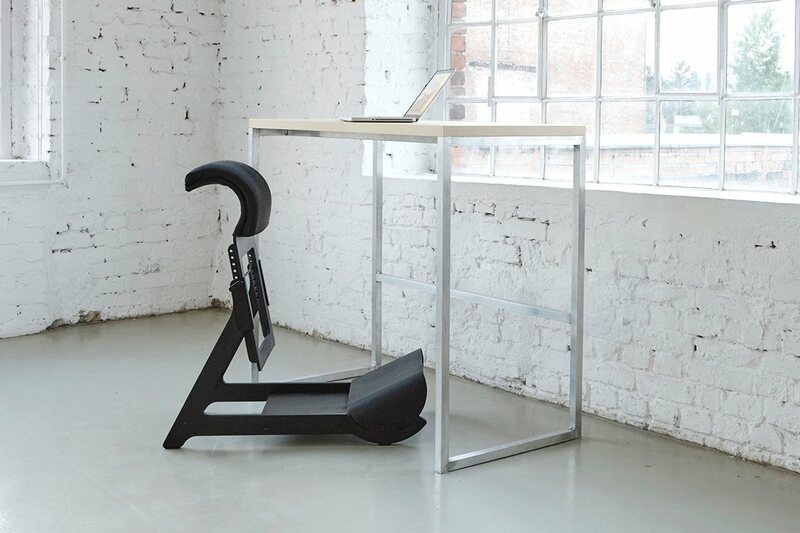 The furniture allows the user dynamic posture changes and helps the user to work close to standing position. ​We heard a lot about the harmful effects of the sedentary work style to our spine while we spend most of our work time in seats. But sitting causes obesity, diabetes and cardiovascular diseases. 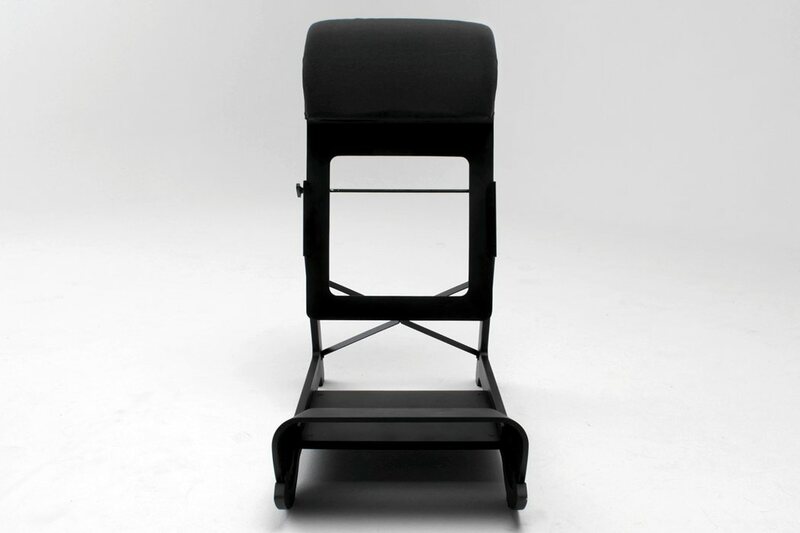 My experimental standing chair allows the user dynamic posture changes. 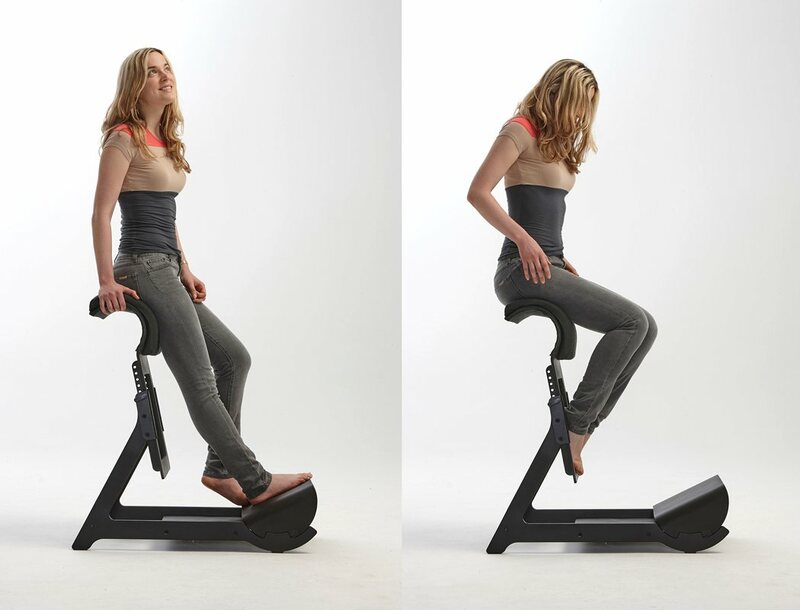 We can work in leaning position, while there is a position close to normal chair we can use to reduce the load on our feet. The furniture has ethereal but rigid structure. I wanted it to be static and sturdy, to keep the furniture nature. 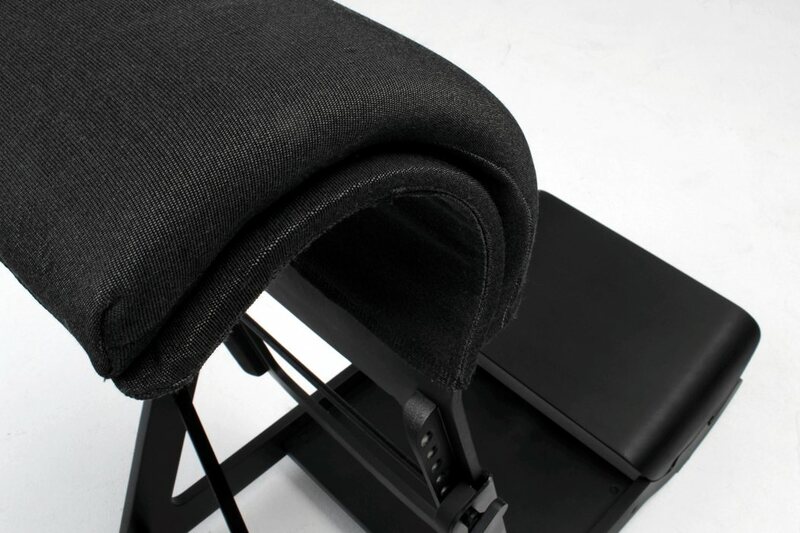 The chair is made up of geometric elements, so i gave matte black finish for more serious and elegant look.